Indeed, planning routes takes time. You have to take many different factors into account, such as traffic, weather, and construction, to figure out the best way to get somewhere. And it’s such a complicated process that it’s easy to make a mistake and accidentally send your driver straight into a traffic jam or some other delay, and delays like that are sure to upset your customers. All those factors make it hard to plan just one route, and when you’ve got multiple drivers and dozens or even hundreds of destinations to deal with… hoo boy. In that case, without the help of software, you’re in a whole lot of trouble. You just shouldn’t plan routes by hand. Use software instead. A multi stop route planner will completely change your business. It’ll allow you to be more efficient and get more production out of the same amount of resources. In other words, it will seriously improve your profit margin. You’ll make more money. Completing those tasks takes hours. Just think of all the other things you could be doing with the time it takes to plan routes by hand. With Route4Me’s delivery software, you can plan routes in less than 30 seconds. That gives you more time to grow your business, instead of wasting your time hunched over a computer screen doing work that can now be done automatically with a computer program. Route4Me saves you time, and it’s easy to use, too. To make a route, all you need to do is enter the addresses of the customers you need to visit. Our software will then give you the most efficient route for visiting those addresses. Simple. If there’s bad weather, our software accounts for that and adjusts your route accordingly. If there’s construction, our software accounts for that and adjusts your route accordingly. If there’s heavy traffic… you get it. 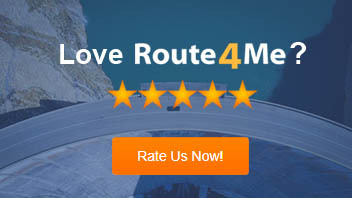 Route4Me takes all the factors involved with route planning into account, so you don’t have to worry about it. 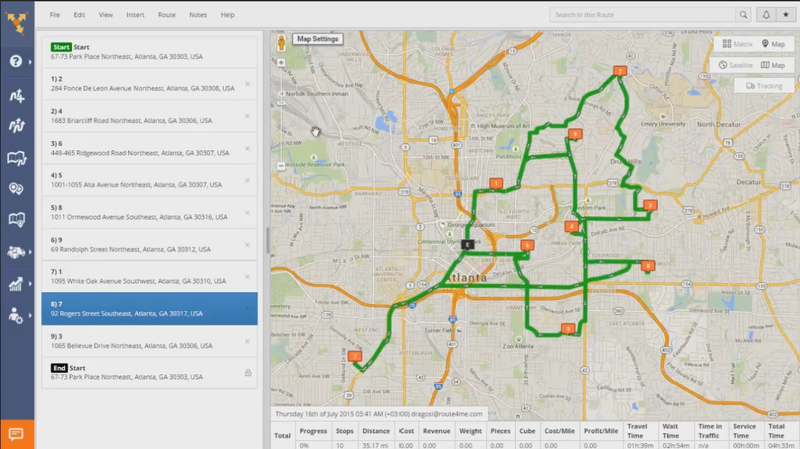 You can plan multiple routes with just a few mouse clicks. It doesn’t matter whether you have to cover dozens or thousands of stops each day – every route takes less than 30 seconds to make. There are a lot of features on Route4Me that you won’t find on free software like Google Maps. You can color code your prospects based on how ready they are to buy. This will help you make more sales. You can also use Route4Me to see how much it would cost you to run a hypothetical route. This helps with making bids for for new contracts – you’ll know exactly how low you can go before you start to lose money on the bid. A big problem with manual route planning is that there’s no way to effectively make last-minute changes. Once a driver has left the depot, they’re pretty much on their own. You could call them and try to direct them to a new location by phone, but that can be confusing and will probably end up delaying your driver. But with Route4Me, every change you make to a route on your office computer is automatically reflected on your driver’s smartphone. If there’s a last-minute stop you need a driver to make, not only will they know about – they’ll also know exactly where it is, and how to get there, without you saying a single word. Sometimes, something unexpected will happen that stops your driver in their tracks. Maybe they get into an accident, or maybe their car breaks down. In this case, you’ll need someone to pick up the slack and visit all the customers that the broken-down driver was supposed to visit. If you don’t, your reputation as a business that can satisfy its customers will be seriously damaged. But how are you going to figure that out, logistically? All your other drivers have their own responsibilities… how are you going to make this work? Don’t worry. When something goes wrong and a driver suddenly can’t complete their route, Route4Me will figure out to best shuffle around your fleet to compensate for the lost driver. And doing so will only take… you guessed it, less than 30 seconds. Amazing, isn’t it? So, do you have any questions about multi stop route planner? Let us know in the comments section below.